"Hi, our son has seizures after geomagnetic storms. The seizures are quite strong and we do use a solar storm shelter that helps protect him. Even if he does not have a seizure, he can get really manic and aggressive. He is naturally drawn to crystals. Is black tourmaline the strongest for absorbing the extra energy that builds up in his brain? How should we use it most effectively? Would quartz strengthen the tourmaline?" Thank you for your crystal inquiry! 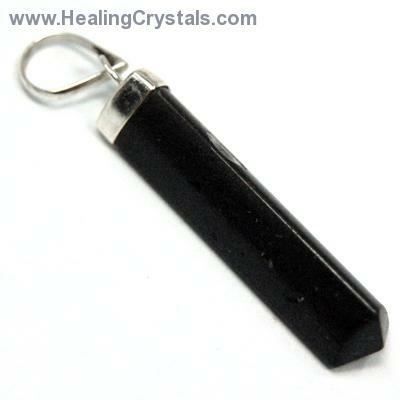 Black Tourmaline is one of the greatest absorbers of excess energy that I use. Clear quartz, with the magnifying properties, could help to boost Black Tourmaline's own properties. You could have a pendant made with both crystals in it or you could also put some under his pillow to help with grounding and the excess energy. If you can have him hold them in his hands for a period of time during the day it would also be of help.